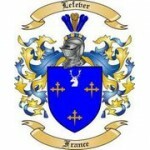 I am also a member of The Surname Society and am conducting a worldwide surname study into the Lefever and variants (Lefevre, Lefeuvre, Lefebure, Lefebvre and others). The details of my Lefever research are contained on their own website at Lefever.org. This page has links to all the members of The Surname Society’s study names and contact details.